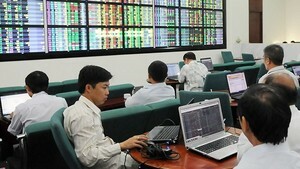 Stocks on Ho Chi Minh Stock Exchange resumed rise on July 5. Liquidity on the market, however, remained low as investors became wary and were waiting for business results in second quarter of listed firms. VN-Index, which tracks 244 companies and four close-ended funds, rose as much as 2.89 points, or 0.57 percent, to 506.54. On the index, 117 stocks gained, 85 dropped, and 45 were unchanged. Trading volume was at 39.6 million shares, worth VND1.19 trillion, the lowest level in the past three weeks. Hanoi Maritime Holding Company (MHC) and Chang Yih Ceramic Joint Stock Company (CYC) both advanced 4.95 percent to VND10,100. Shareholders of Hanoi Maritime Holding Company (MHC) approved this year business plan with a total revenue of VND270 billion at its annual shareholders meeting. Thong Nhat Rubber Joint Stock Company (TNC) rose 4.92 percent to VND19,200. Dat Xanh Real Estate Service & Construction Corporation (DXG) lost 43.23 percent to VND44,000. From July 14 to 30, the company asked for shareholders opinion to add more business fields. Viet – Han Corporation (VHG) gave up 5 percent to VND30,400 from VND32,000 last weekend. Ninh Hoa Sugar Joint Stock Company (NHS) declined 4.74 percent to VND36,200. 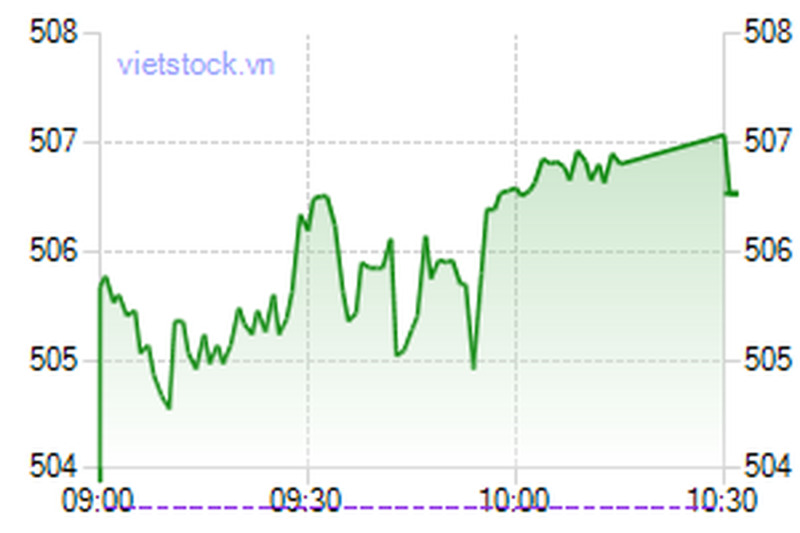 The Hanoi’s HNX-Index experienced a seesaw trading session, closing at 158.46, down 0.07 percent, or 0.11 points. Liquidity on the northern bourse dropped for five consecutive trading sessions. Around 26.9 million shares were traded at VND792.2 billion. Foreign investors net sold for six straight trading sessions with an approximate value of VND2.49 billion. On the market of unlisted shares, the UPCoM-Index also climbed 2.51 points to 54.71. Trading volume improved after an announcement that the continuous auction model would be applied to this trading floor. Nearly 18.09 billion were spent to trade 910,524 shares.